The parents of a man alleged to have joined so-called Islamic State group have been remanded in custody after being charged with terrorism offences. 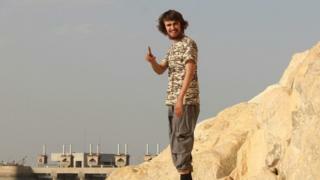 Jack Letts, 20, from Oxford, who has been dubbed "Jihadi Jack" by some newspapers, is said to have left for Iraq aged 18. John Letts and Sally Lane, denied providing money for suspected terrorism at Westminster Magistrates' Court. They are due to appear at the Old Bailey on 23 June. Mr Letts, 55, and Ms Lane, 54, spoke only to confirm their names and address. They are both charged with three counts of arranging the availability of property or money to another person knowing or having reasonable cause to suspect it could be used for the purpose of terrorism. It is alleged the couple, both of Chilswell Road, Oxford, transferred £223 on 2 September last year, £1,000 on 31 December 2015 and £500 on 4 January 2016. Ms Lane is charged with two further counts of attempting to provide money or property knowing or having reasonable cause to suspect it could be used for the purpose of terrorism. The court heard she allegedly attempted to send two payments of £500 to her son on January 4 2016. The 20-year-old was suspected of being the first white Briton to join the terror group after he left his Oxford home and travelled to Syria last year.